For room cooling and heating in the commercial sector, trade and industry, for high cooling capacities and simultaneous fresh air supply to improve indoor air quality and humidity control. The secondary air is removed directly from occupied zone. The supply air is discharged on one side, which enables parallel placement to the facade or walls. 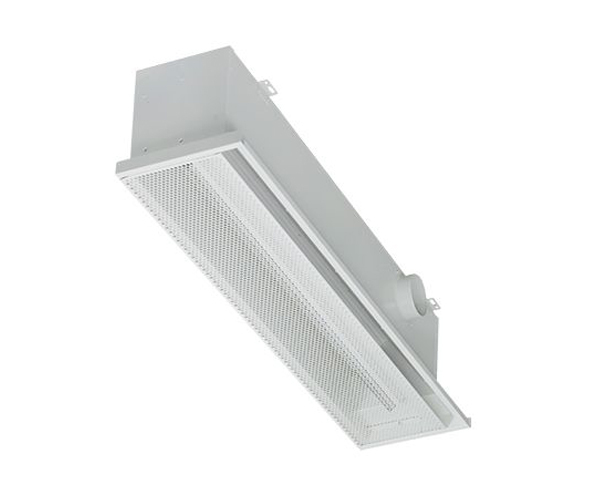 This chilled beam is designed for integration into suspended ceilings made from metal, gypsum plasterboard, mineral fibres ect., or for downstanding installation.